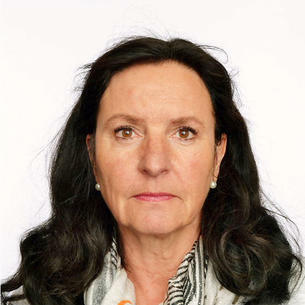 Elisabeth Holm Hansen er Førsteamanuensis (PhD) og tilknyttet Helsesøsterutdanningen og bachelor sykepleie i Porsgrunn, forskningsgruppen Master i klinisk avansert sykepleie i Drammen og forskergruppe ved Universitetet i Oslo. 1997-2003 Norwegian Forum for emergency primary care: Board member, secretary and accountant. quality improvement in health care. Awards: 2016 Norwegian Emergency Primary Health Care award. Bondevik, Gunnar Tschudi Hofoss, Dag; Hansen, Elisabeth Holm; Deilkås, Ellen C Tveter. Philips H, Huibers L, Holm Hansen E, Bondo Christensen M, Leutgeb R, Klemenc-Ketis Z, Chmiel C, Muñoz MA, Kosiek K, Remmen R. Guidelines adherence to lower urinary tract infection treatment in out-of-hours primary care in European countries. Qual Prim Care. 2014;22(4):221-31. Bondevik GT, Hofoss D, Hansen EH, Deilkås EC.Patient safety culture in Norwegian primary care: A study in out-of-hours casualty clinics and GP practices. Scand J Prim Health Care. 2014;27:1-7. Bondevik GT, Hofoss D, Hansen EH, Deilkås EC. The safety attitudes questionnaire - ambulatory version: psychometric properties of the Norwegian translated version for the primary care setting. BMC Health Serv Res. 2014;14:139. Raknes G, Hansen, EH, Hunskaar S. Distance and utilisation of out-of-hours services in a Norwegian urban/rural district: an ecological study. BMC Health Serv Res. 2013;13:222. Hansen E Telephone advice and decision tools, Utposten 2012;6:36-37. MorkenT, Hansen EH. National register of out-of-hours services in primary health care, where does people call today? Utposten. 2012;1:16-19. Eikeland OJ, Hansen EH, Tønsaker SK, Hunskaar S. Watchtower project; Epidemiological data data for emergency medicine in primary health care.Report 2011. Bergen: National Center for emergency primary Health care 2012 (ISBN 978-82-92970-51-5). Hansen EH, Hunskaar S. Telephone triage by nurses in primary care out-of-hours services in Norway: an evaluation study based on written case scenarios. BMJ Qual Saf. 2011;20:390-6. Hansen EH, Hunskaar S. Understanding of and adherence to advice after telephone counselling by nurse: a survey among callers to a primary emergency out-of-hours service in Norway. Scand J Trauma Resusc Emerg Med. 2011;5:48. Hansen EH. Monitoring activities in out-of-hours emergency primary care in Norway. A special emphasis on nurses telephone triage and counselling. University of Bergen 2011 (ISBN 978-82-308-1873-2) UiB. PHD THESES, tilgjengelig i sin helhet i BORA. Philips H, Huibers L, Holm Hansen E, Bondo Christensen M, Leutgeb R, Klemenc-Ketis Z, Chmiel C, Muñoz MA, Kosiek K, Remmen R. Guidelines adherence to lower urinary tract infection treatment in out-of-hours primary care in European countries. Qual Prim Care. 2014;22:221-31. Nyen B, Hansen EH, Bondevik GT. The quality of handling telephone calls to the emergency primary health care by nurses. Sykepleien Forskning. 2010;5: 220-226. Nyen B, Hansen EH, Foss MK, Bondevik GT. Nurses handling telephone calls to the emergency primary health care. Sykepleien Forskning. 2010:2:130-136. Zakariassen Erik, Hansen EH, Hunskaar S. Incidence of emergency contacts (red responses) to Norwegian emergency primary healthcare services in 2007 a prospective observational study. Scand J Trauma Resusc Emerg Med. 2009;17:30. Hansen EH. Unplanned paediatric care pathways. British Journal of Healthcare Management. 2009;15:554-555. Morken T, Hansen EH, Hunskaar S. Legevaktorganisering i Norge - Rapport fra Nasjonalt legevaktregister 2009. Bergen: Nasjonalt kompetansesenter for legevaktmedisin. 2009 (ISBN 978-82-92970-21-8) 17. Hansen EH, Hunskaar S. Development, implementation, and pilot study of a sentinel network ("The Watchtowers") for monitoring emergency primary health care activity in Norway. BMC Health Serv Res. 2008;8:62. Hansen EH, Zakariassen E, Hunskaar S. Sentinel monitoring of activity of out-of-hours services in Norway in 2007: an observational study. BMC Health Serv Res. 2009;9:123. Hansen EH, Hunskaar S. Differences in requests to out-of-hours services. Tidsskr Nor Laegeforen. 2007;127:1344-6. Nieber T, Hansen EH, Bondevik GT, Blinkenberg J, Thesen J, Zakariassen E, Hunskaar S. Organization of Norwegian out-of-hours primary health care services. Tidsskr Nor Laegeforen. 2007;127:1335-8. Zakariassen E, Blinkenberg J,Hansen EH, Nieber T, Thesen J, Bondevik G, Hunskaar S. Locations, facilities and routines in Norwegian out-of-hours emergency primary health care services. Tidsskr Nor Laegeforen. 2007;127:1339-42. 2016 Out of hours emergency primary work, Gyldendal Academic 2016, ISBN/EAN: 9788205484603. 2002- 2015 Editor: ”Telephone advice” Electronic decision tool for nurses in emergency primary health care. National Center for primary Health Care. 2012-2014 Patient Safety Project ("In Safe Hands") translated into OOH municipalities. 2009 National Plan of act for emergency care, Report no. 1-2009, National Centre for Emergency Primary Health Care, Health UNI. 2005 Process improvement of patient flow in four doctor's offices. Employer: Norwegian Medical Association. chain. Directorat of Health and Social Afffairs.